By Rosalind Benedet, N.P., Mark Rounsaville, M.D. Rosalind Benedet, N.P., Mark Rounsaville, M.D. If you’ve been diagnosed with breast cancer, your mind is probably filled with questions about treatment. 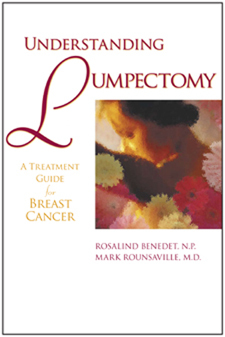 Perhaps you’ve heard about lumpectomy, but you question whether it’s the best treatment for you. You’re not alone. Many women ask the same question. For decades, mastectomy has been the surgery of choice. But, recent research shows that lumpectomy combined with radiation, is as safe and effective as mastectomy for invasive breast cancer.